Wanko-soba is the local cuisine of Iwate and is eaten in a very unique and entertaining manner. These are buckwheat noodles and as soon as you finish the first bowlful, a server flings a fresh ball of noodles into the empty bowl with a wild cry and continues to fill it until you have had enough! This dish of Wanko-soba is usually not ate daily. Instead, it is more frequently ate during occasions or events. Only about a mouthful of noodles is served each time, so if you are an adult male you should be able to eat about 50-60 bowls. Some say that this tradition stems from when landowners hospitably served their guests until they were full. 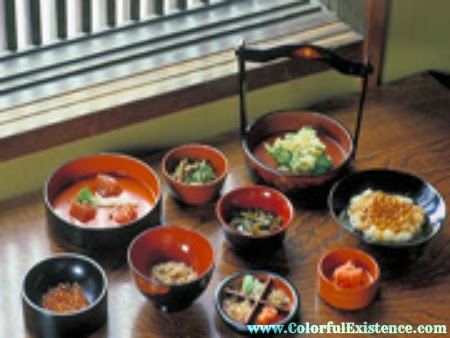 It is now known throughout Japan as a specialty of Morioka and Hanamaki. The trick to eating a-lot, is to slurp it down without chewing. National championships are held every year in Morioka and Hanamaki, so if you are confident of your appetite, why not take up the challenge? Traditional Japanese food Vol.7 – Tohoku Cuisine: Kamaboko ☁ Grey skies are good for your brain!